“Yahoo! CEO Marissa Mayer might not like her employees working off-site, but if she wanted to save a few trees in the process of keeping the company afloat, then she might change her mind from time to time. So says a survey conducted by online market research firm USamp. Letting employees work from home cuts down on waste and electricity. Here’s the rub, the study was funded by 13 year old telepresence software maker TeamViewer. They found that people who work from home are more apt to care for the environment insofar as they don’t leave the lights on all day and tend to recycle in their own home. When they’re in the office, they can care less if the lights are on all night or if they throw that bottle of Odwalla Super Protein in the trash can instead of a recycle bin. When asked how strongly environmental concerns weigh into the decision a boss makes on whether or not to allow telecommuting, surprising numbers of them said it matters, according to the survey results. A relatively high 42% said environmental concerns weighed strongly or very strongly into allowing employees to work from home. An impressive 62% said the environment considerations were considered at least somewhat strongly. “The study shows that not only do employees stand to save money when they are able to work from home, but the specific behavioral changes that people exhibit contribute significantly to the conservation of our environment,” said Holger Felgner, General Manager at TeamViewer. The survey, which was aimed at determining the environmental impact of working from home in advance of Earth Day on Monday, found that a majority of respondents find that they take proactive actions at home that they don’’t take at work to save on waste and conserve energy. It makes sense, of course. When at home, the energy you’re wasting is your own and not someone else’s. Earth Day became a larger national event in 2009, though the idea started back in the 1960s by peace activist John McConnell. McConnell died on Oct. 2012 in Colorado at the age of 97. For the last several years, Earth Day has been observed on April 22. Around 190 countries participate. The night is often marked by city skylines powering down office tower lights and outdoor, illuminated advertising for around an hour. This year’s theme is “the face of climate change.” Organizers at the Earth Day Network promote ways in which individuals and corporations can conserve. As we celebrate the upcoming Earth Day, we thought it would be great to look at interesting movement in the environmental space. Stay tuned for our article series titled “Earth Day Everyday” for stories, tips and trends related to sustainability and the environment. Reduce, Reuse, Recycle: Perhaps it’s time for some spring cleaning. Go through you old clothes, accessories, and athletic products and consider how you can recycle or reuse products you haven’t used in a while. Shop Smart: Use reusable bags at grocery stores, shop local, shop ethical, avoid products with packaging that isn’t eco-friendly and shop smart. Find Green ways to entertain yourself: Instead of going on an energy-sucking treadmill, go for a run outside. Instead of using the gas-guzzling car to go out, consider walking or using public transportation. Make the most of the good weather by doing things green. Dress in Ethical Clothes and Accessories: Consider the clothes you wear and how they impact the lives of the artisans that produce them and the environment. Buy products made of recycled materials, sustainable fabrics, sustainable production processes and in fair trade conditions. Check out our lines of ethical products at http://shopanthropic.com. “Set against a backdrop of global climate change, carbon economics and resource scarcity, the intrinsically valuable materials and scrap carbon that have for so long been locked up in waste streams are now becoming highly sought after. But how are organisations reacting to this challenge, given our current linear ‘take, make, waste’ system? As businesses begin to recognise the benefits of an emerging circular economy and its ability to drive greater resource productivity, the benefits are perhaps less tangible for the waste management industry. However, as businesses look to reduce environmental impacts and boost the bottom line by moving waste up the hierarchy, the waste supply chain is ideally placed to help them deliver on their ambitions — providing it can react fast enough to align itself as a key enabler to encourage this circularity. To examine these issues in more depth, edie.net and sister title Local Authority Waste & Recycling (LAWR) magazine, with sponsor FCC Environment, carried out extensive market research among both waste producers (businesses) and waste-management companies to track how attitudes towards waste and smarter resource management were impacting at different points across the value chain. Set against a backdrop of global climate change, carbon economics and resource scarcity, the intrinsically valuable materials and scrap carbon that have for so long been locked up in waste streams are now becoming highly sought after. But how are organisations reacting to this challenge, given our current linear ‘take, make, waste’ system? As businesses begin to recognise the benefits of an emerging circular economy and its ability to drive greater resource productivity, the benefits are perhaps less tangible for the waste management industry. Read the full report here and share your thoughts in the comment section below. 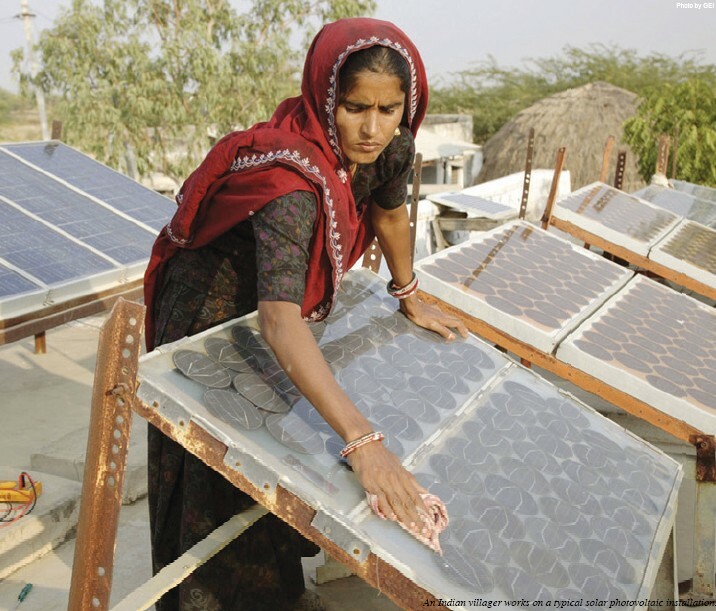 One exciting trend we have noticed is the growing governmental encouragement for the use of solar power in many states in India. In fact, some state governments is encouraging net metering facilities, which provide consumers to generate solar power for self-consumption and feeding excess power into the grid. These solar PV plants can be set up in unutilized places such as roof-tops, dump sites, residential buildings, offices and other institutions. To further encourage this trend, the national government is providing a subsidy of up to 30% of the cost of the panel with a capacity of up to 500 KW without battery power. In a country that has faced a constant struggle with providing electricity to its vast growing populous, could solar and other forms of alternative energy be the sustainable solution to providing energy to even the most rural parts of the nation? With governments backing such projects, and the general public becoming more aware of environment implications of non-sustainable energy production, we are excited to continue following this trend. 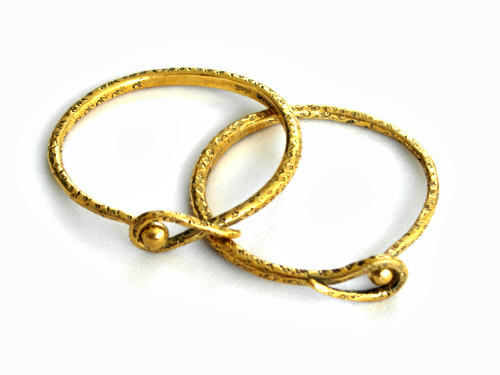 Shopanthropic is a company that designs and makes high quality jewellery pieces that are not only beautiful but best of all ethically-made and ecofriendly. Most of their creations are designed and made by a group of artisan women, who are from deprived communities. Shopanthropic really helps in providing them with a voice and ability to share their stories through their creations. Not only are they helping out small disadvantaged communities, their pieces are of true style. Making sure they research on upcoming trends their pieces are all unique with a small story weaved into each final piece. When buying and wearing this collection you really get that ‘fuzzy’ feeling of knowing that your money is really supporting and going towards a good cause. Hand-knitted black cord & recycled bomb shell bracelet made by a blind female artisan – Its very simple and at the same time quite unique, the shell detail stands out, and the neutral colours lets you match it with any outfit. We think this is set to be a very popular product, as rope bracelets are a timeless piece that we very often see being layered together with other similar bracelets. We really get that ‘festival’ vibe from the materials used. 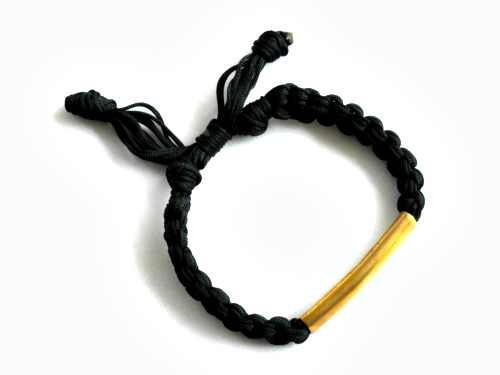 This bracelet is adjustable and perfect for both male and female. 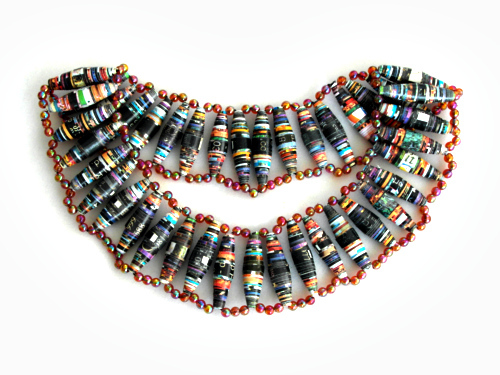 Hand-crafted recycled paper bead necklaces made by a women artisan- like everything in the collection its quite unique, not only from theexuberant colours but from the recycled paper beads. At first its almost unnoticeable that its recycled as the unique paper beads really give off an oriental chic vibe. Made from recycled paper these beads really catch the eye and are perfect for dressing up any plain LBD. On closer inspection its lovely seeing the fine detail and skill that have gone into the creation of this piece. You can assure that no two of these necklaces will be the same. This necklace is of good quality, at first it appeared although it would be flexible and strong and goes back to its original shape perfectly; I also though about the possibility of the paper ripping, but after wearing numerous times, including nights out (and getting many comments) no sign of damage to the beads! Available in a wide range of colours, theres one to match everyones style. 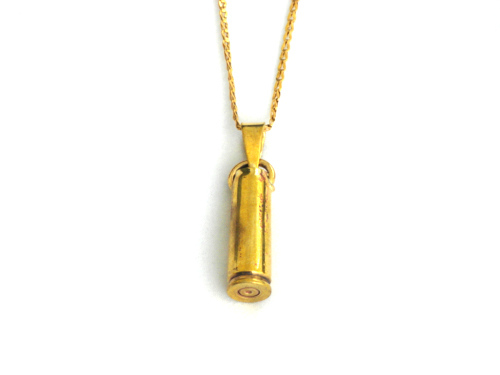 Recycled bullet pendant made by home-based artisans in Cambodia – My personal favourite of the collection, its not over exaggerated but its noticeable. A 5 cm long bullet, its one of those things even if you’re not looking for it you’ll end up buying it because its just a killer piece (literally). You could wear it with any plain top and just build a look by just adding the pendant to either a simple chain or rope string. The reaction towards this piece is that it is very unusual yet such a statement piece, and can really help in building up an outfit of any colour perfect for the military trend! It really is amazing to see that one persons bomb-shell can be another persons fine bracelet. This bracelet was a favourite of some of the staff here at Fashion Capital, and looked either perfect layered with other bracelets by some, or worn as a statement single piece by others. Adjustable, this bracelet fits all wrist sizes. And the fine detailing of the clasp really makes you think how amazing it is to think that this piece was hand-crafted. One of the key points on this bracelet was the ‘almost-rusted’ effect, clearly doing researching into the trends, Shopanthropic knows this is a big trend… This is definitely keeping firm place on our arms here at the studio.